Since 1934, the Sullivan Foundation has been inspiring young people to lead lives of integrity through a commitment to placing service above self-interest. 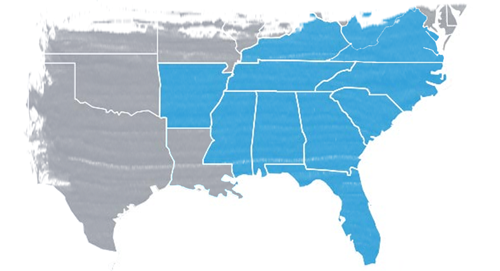 With a strong focus on the American South, we work with a network of 70 schools in 11 states. While Sullivan schools come in many different shapes and sizes, most are smaller, liberal arts institutions with a proud tradition. In any given year, more than 250,000 students attend the schools that make up the Sullivan family. Our history dates back to the 1850s, when Algernon Sydney Sullivan, a lawyer and Southern transplant living in New York City, made a name for himself by using his intelligence, wealth, and social status to help those who were less fortunate. After his death, the New York Southern Society – a social organization founded by Sullivan – sought to honor him in the only way that he would have found acceptable: by honoring others. Thus, the Sullivan award was born in 1890. The Sullivan Foundation was established in 1934 to ensure the continuity of that mission. Today, the Sullivan award is presented at all of our 70 schools – one of the highest honors bestowed upon graduates at many schools. In addition to the award, we provide scholarships to a select number of schools to support their students pursuing changemaking careers. In the early 2000’s, the Sullivan Foundation began offering educational programs to our partner schools focused on service learning, civic engagement, and social entrepreneurship. Beyond honoring the good work happening across the American Southeast, we want to actively support and train emerging leaders. Today, we coordinate retreats, field trips, fellowships and professional development opportunities. We encourage students and faculty who participate to develop their capacities for service while introducing them to new tools such as social entrepreneurship as a means for addressing pressing problems in their communities. From education reform to tackling food deserts, microfinance to youth empowerment, we encourage those we work with to champion innovative approaches to issues unique to the American Southeast context. The Algernon Sydney Sullivan Foundation was founded in 1934, but its roots go back nearly 80 years earlier, when Algernon Sydney Sullivan himself was a young lawyer in Indiana. He used his legal talents and personal wealth to help those in trouble in his community, sometimes at great personal cost. 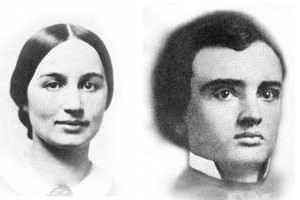 When Algernon and his wife Mary Mildred Sullivan moved to New York in 1856, they remained dedicated to the cause of helping people in trouble. Both of the Sullivans were decidedly anti-slavery, but they were loyal to the South and advocated for the humane treatment of Confederate prisoners during and after the Civil War. A believer in equality for all, Algernon also sponsored the first African-American member of the New York Bar Association. By the end of his life, Algernon was so well thought of that all courts in New York were closed in his memory upon his death in 1887. He remains the last private citizen to receive such an honor. The honor that Algernon would have appreciated the most, however, was the one he received when the New York Southern Society – an organization he himself founded – established the Algernon Sydney Sullivan Award in 1890 to recognize students with distinguished records of service. Algernon and Mary’s only son, George, continued and cemented the Sullivans’ legacy when, in 1934, he created the Sullivan Foundation to ensure the continued existence of the awards. The Foundation remains as strong as ever today and has grown to expand the reach of the Sullivan spirit far beyond what Algernon and Mary would have ever thought possible.